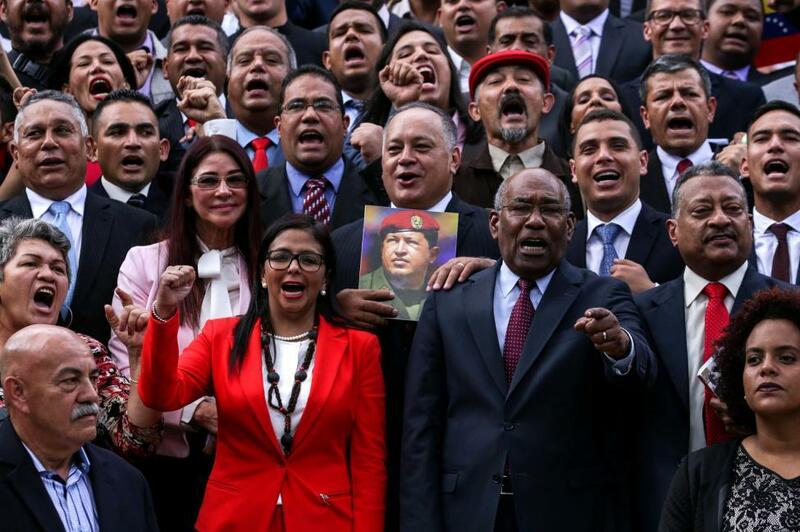 WASHINGTON, Feb. 7 (Xinhua) -- The United States is imposing a ban on the travel of the Venezuelan National Constituent Assembly's members to the United States, said a U.S. envoy on Venezuela-related issues. Elliott Abrams, U.S. special envoy for Venezuela, said at a press briefing of the State Department that Washington has revoked visas for the unspecified number of the Venezuelan officials as the United States is seeking to press the country's President Nicolas Maduro to cede powers and leave the nation. "We are imposing visa restrictions and revoking the visas of members of the illegitimate constituent assembly," he said. Also at the briefing, the State Department's deputy spokesperson Robert Palladino said U.S. Secretary of State Mike Pompeo will discuss the issue of Venezuela with EU leaders during his upcoming trip to Europe. Earlier on the same day, Craig Faller, chief of U.S. Southern Command, said during a Senate Armed Services Committee hearing that the U.S. military is ready to protect U.S. personnel and diplomatic facilities in Venezuela "if necessary." U.S. President Donald Trump said on Jan. 23 that the United States had recognized Venezuelan opposition leader Juan Guaido as the nation's "interim president," a move that came after Maduro was inaugurated as president of the Latin American country earlier that month. In response, Maduro announced he was severing "diplomatic and political" ties with the United States, ordering all the U.S. diplomatic and consular personnel to leave the country in 72 hours. For years, the United States has been implementing diplomatic pressure and economic sanctions against Venezuela. Right before Maduro's inauguration on Jan. 10, the U.S. Treasury Department imposed sanctions on seven Venezuelan individuals and 23 entities, accusing them of involvement in a corruption scheme.